If you have an iPhone and want to know which smartwatches are compatible, look no further. We have researched and selected the Best iOS Compatible Smartwatches for iPhone Users in 2019. Of course, the Apple Watch Series 3 is a straightforward candidate. However, we have decided to start our list with the best alternatives to the Apple watches. Apple smartwatches, specifically, are on the pricey side of the best smartwatches. Today, though, there are tons of other iOS compatible smartwatches in the market. Today’s market is saturated with tons of iPhone compatible smartwatches. Only a handful of them make the cut among the best in the market. The Samsung Gear S3 is a ‘living’ proof of the axiom “the bigger, the better”. Huge, with band sizes 105 x 65mm, and a weight of about 59g, it is both Android and iOS compatible and comes with the classic round look of a wrist watch. Running on Samsung’s custom Tinzen OS for its smartwatches, it is quite lacking in app originality but brings together any useful smart functionality associated with any smartwatch, making it highly intuitive. Also, you’d have little success finding a smartwatch to match its 3-day battery life. The Gear S3 sports a 1.3 inch 360 x 360 Super AMOLED screen display, one of the best on the market. Thus, the brilliance of the screen and powerful graphics come as no surprise. Running on a dual-core processor, with a speed of about 1.0GHz, it is not quite as responsive as the Apple Watch but is no slouch either. You’d have to acquaint yourself with how to execute some of its regular functions. Its intuitive UI is easy to use once you get a grasp of it. It is no flop in the fitness department either, with the addition of GPS tracking taking it a cut above the Gear S2. The smart integration of Samsung’s S Health platform which combines a heart rate monitor with other sweet little nuggets, keeps you feeling active through the day. The multi-compatibility of the S3 makes it an attractive option for smartwatch lovers. A combination of the Super AMOLED display, the upgraded Tinzen OS, and processor, GPS tracking, as well as an intuitive interface, takes it a level above the Android Wear watches and places it as a firm rival for the mainstream smartwatches for iPhone users. Click here to get the latest pricing information. The Huawei Watch 2 has much more to offer than its predecessor, the Huawei Watch. Not only does it look better, it also has better features that will certainly give you value for money. In terms of fitness, you can built-in GPS helps you track your exercise routes without having to carry your phone. Heart rate monitoring is also possible with the Huawei Watch 2. There is also a Workout Coach that gives you real-time guidance. It also gives you personalized data such as the required recovery time. This helps take your fitness to the next level. Also, you can monitor your sleeping patterns, thanks to the Huawei TruSleep sleep tracking feature. The watch is compatible with iOS and Android devices, but can also work independently. It has its own storage that allows you to listen to music, even when not connected to your phone. You can also receive notifications on the screen. Moreover, you can easily make payments using Android Pay via NFC technology. Battery life is pretty good for such a high-performance smartwatch. On Watch Mode, you can use it for up to an amazing 3 weeks. Smart Power Saving Mode gives you 2 days’ service, while constant GPS usage will last up to 7 hours. To see the current price of the Huawei Watch 2, click here. Just like most Fitbit smartwatches, the Versa also lives up to the “Fit” in the brand name. Apart from the usual basic smartwatch features, the Fitbit Versa provides an array of health & fitness features that will take you to the next level. First and foremost, let’s delve into the fitness features. There are more than 15 exercise modes that show you post-workout summaries on the screen. These include Weights, Run, Bike, etc. You can also monitor your heart rate and track calories burned, steps, floor climbed, distance covered, hourly activity, active minutes, and stationary time. Guided breathing sessions are also at your disposal. There are also other fitness features that are not guaranteed with other watches, For example, the SmartTrack feature allows you to record certain exercise activities like running and store them in the Fitbit app. You can also track your sleeping pattern with the Versa. Another remarkable health & fitness feature is the personalized Cardio Fitness Score. This helps you monitor and see how to improve your overall fitness level. For ladies, the watch has a special feature. In conjunction with the Fitbit app, you can log your periods and record symptoms. You can also compare the period cycle to other stats like activity, sleep, and weight. Other features that can’t go without a mention include GPS tracking, music streaming via Bluetooth, on-screen notifications, customizable faces and compatibility to iOS, Android and Windows devices. It is also water resistant up to 50 meters. Click here to see the current price of the Fitbit Versa. Since its inception in 2012, Mobvoi has endeavored to produce top-notch products. The company has invested in AI (artificial intelligence) to come up with gadgets that aim to push human-machine interaction to unimaginable boundaries. A testament to their ambition is the amazing smartwatches they have introduced in the market. The one that has stood out in our research is the Ticwatch S. Not only does it look amazing, its features will ensure that you get value for every dollar you spend on it. First, the smartwatch uses Android Wear 2.0, which allows you to access thousands of apps. You can also change the watch face to match your mood or dress code. The watch face can also be personalized to show notifications. So, you will never miss an appointment. From your wrist, you can see your contacts, check calls and reply to SMSs. Do not be alarmed at the mention of “Android Wear 2.0”. Apart from being compatible with Android 4.3+, the watch is compatible with any iPhone running iOS 9 and above. Android Wear is available for iPhone 5 upwards. Lastly, apart from the basic notifications, a smartwatch that has fitness tracking capabilities is always preferred. You can track your fitness levels with the Ticwatch S from your Google Fit or any other apps you may be using. Heart rate monitoring is also available, in addition to fitness coaching. Apart from that, you can stream music directly from your wrist as you walk, jog, run or exercise in the gym. To see the current price of the Ticwatch S, click here. Just the Samsung Gear S3, the Gear Sport is another alternative with amazing features that will ensure you get maximum return on investment. Samsung is renowned world over for making excellent products, and this is no exception. First, water resistance is guaranteed up to 50 meters. This means that you need not worry if you find yourself in the rain or decide to go swimming. You can even take a shower without having to take it off. Also, the watch has fitness tracking capability. The smartwatch has a heart rate monitor as well as GPS mapping which will come in handy if you decide to go for a walk, jog, run or hike. In addition to personal coaching when you are exercising, you can check calorie balance while tracking daily progress. Once you link the watch to other smart devices using Samsung Connect, you can control them from your wrist. These include lights, TVs, door locks among others. Also, with Samsung Pay NFC, you can make payments with just a tap. Lastly, as expected of this watch, you can check your calendar and even read and respond to texts and calls by just turning the bezel. Interestingly, you can enjoy all these features for days on end after just a single charge. Click here to see how much the Samsung Gear Sport costs. Garmin has produced gems of smartwatches and fitness trackers over the years. With the Fenix 5, you get the best of both worlds. Apart from a bold, rugged look, the functional features definitely stand out. The fact that it offers all you could ever want in a smartwatch justifies its price being higher than most of our picks for the best smartwatches for iPhone users. The watch helps you track your fitness as you go on adventures or when undertaking simple exercises. Its rugged design plus a Garmin Chroma Display that is visible in sunlight are perfect during the day. A GPS tracker helps you stay on course, while the Elevate wrist heart rate monitor technology ensures you keep track of your fitness levels. The watch also has special features that help you with skiing, swimming, golfing and paddle sports. For example, if you are swimming, you can track your pace, distance covered, strokes and more. Other features of the Fenix 5 include GLONASS satellite reception, 3-axis compass with a gyroscope, barometric altimeter, anaerobic training effect, training status and biomechanical measurements. As expected of any smartwatch, you can get all your notifications and respond on your wrist. It is also possible to customize the face so that you match the watch to your outfit of the day or your mood. Lastly, you can enjoy these features for a long duration, thanks to its powerful battery. The battery life is 24hrs on GPS, 60hrs in UltraTrac battery saver mode and up to 2 weeks when in smartwatch mode. 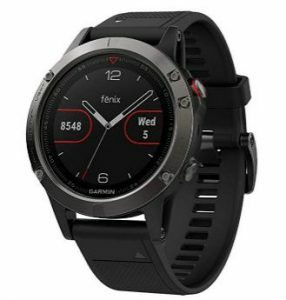 Click here to see the current price of the Garmin Fenix 5. Being one of the most complete smartwatches ever to be made; the Garmin Vivoactive HR is a sure rival to the Apple Watch series for sports-loving individuals. Impressive sports features include the built-in heart rate tracker. It is quite more accurate than Apple’s heart rate tracker and Connect IQ providing modes for running, cycling, walking, and more. However, a bland looking design does it no favor. Its design is not as attractive as regular smartwatches in the market. However, it is a combination of all features of the sports wearables produced by Garmin over the years. An improved battery life over its predecessors, sees a drop in screen display quality, with a low 205 x 148-pixel resolution. The addition of notifications to its functionalities sets it out as great smart watch, not just fashionable. Still, this is a pleasant addition to the Apple compatible smartwatch collection. It is definitely one to consider if you desire it more as a sports watch than a dress companion. The third iteration of the Zenwatch Android Wear series should stay close to the top for lovers of Android Wear smartwatch. Fitted with Snapdragon Wear 2100 processor, it is both iOS and Android compatible. At 44mm, it is a tad too bulky for most. It does, however, compensate well for that with its 1.39-inch 400 x 400 AMOLED display. Although the battery life is above the mid-range, Asus is limited by the lack of heart rate sensor. This reduces its usefulness for those in need of sports wearables. A lack of GPS and NFC functionality does not help its cause either. However, its design is attractive enough to give it an appearance of premium quality. While its battery quality and easy fit nature could be compelling reasons to get one. No wonder it is among the best smart watches for men. The one thing that is guaranteed with the Apple watch 3 is that there can be no compatibility issues with the iOS. Of course, having both been made by the same company, you are assured of smooth integration and ease of use. With its 1.65 inch OLED screen, 16 GB storage, Wireless charging and water resistance up to 50 meters, you cannot go wrong. 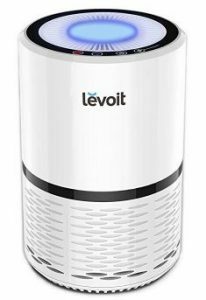 Moreover, it has a wide range of connectivity – from Bluetooth, Wi-Fi, NFC, to LTE. Without a doubt, it is better than its predecessor the Apple Watch 2. Among our list of iOS compatible smartwatches, this is by far the best. For more detailed information on the Apple Watch 3, please read our in-depth Apple Watch Series 3 Review. Without a doubt, Apple Smartwatches must appear in any list of the Best iOS Compatible Smartwatches. Rated best of all smartwatches in the market today by most, the Apple smartwatch Series 2 is undoubtedly the best of all apple smartwatches. 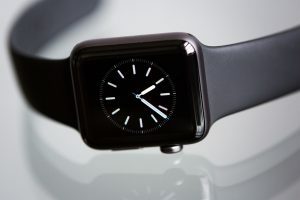 Apple has significantly upgraded its OS and also its Watch significantly. This is the poster child of the improved watchOS3. Water resistance and GPS tracking make this the best deal for you. The design and unique color makes it an ideal choice if you are looking for a smartwatch for women. Running on an S2 dual-core processor, combined with either 512MB or 1GB RAM, it feels snappier and is more responsive than previous edition watches, and switches along under your touch. There is also an upgraded graphic display from the previous edition. The screen dimensions remain practically the same (1.65-inch). Nevertheless, the brightness has drastically increased with the series 2 able to pump things up to 1000 nits. Thanks to the 390 x 312 OLED display, black backgrounds are turned off when the watch is not in use, thereby conserving battery life and improving brightness levels of the white background. Indeed, it is the crème de la crème of apple smartwatches. The water-resistant feature (with an IPX7 rating) sees the introduction of a “wet mode”. Activating this mode before getting into a swimming pool, locks the display and disables touch functionality. This prevents the screen from sensing the water as input instructions. Subsequently, these instructions can not be executed while you are in the pool. Turning the digital crown ejects any water left in the device. It also automatically re-activates the screen immediately you step out of the pool. What more separates it from other iOs compatible smartwatches? The initial Apple series came with an added fitness tracker that measures your heart rate when you run. The new apple smartwatches have seen the inclusion of GPS data tracker. It keeps track of your running locations, and gives your precise location when running. It is now much more useful as a running companion than the previous version. This is because stronger battery life, the well-known streaming capability plus an on-board storage of 8GB. Smartwatches are known for their large size. Apple, although still to go the “classic watch” route, has ensured that there are varying sizes of its latest release to fit with the demands of different individuals. However, it is still lacking in the app department and comes at a huge cost. Ultimately, it is your best choice, if you have not previously owned an Apple Watch. The Apple Smart Watch is the flagship product in the apple smartwatch series. It has, however, been displaced from the top of the list by the Apple Watch 2 and 3, and more adaptable Android Wear watches. However, it is by no means too far from the top. An IP rating of IPX7 means it is waterproof. Additionally, an onboard storage of 8GB places close to the top of any durable smartwatch list. Despite being a older model in the Apple Watch line, it certainly isn’t among the best budget smartwatches. Specifically built for the iOS, the Apple Watch runs on the very convenient, but now replaced watchOS 2. Designed as a smart running companion, it still falls quite short of the mark for sports wearables. Its low battery life and questionable heart rate monitor takes out some of its sting. The clear 1.53-inch OLED display and intuitive interface go a long way into making it irresistible. The fact that it is built by Apple, for Apple, can be easily seen from the fluidity of the notifications. Just like other apple smartwatches, this fluidity makes it a very useful device to have around for iPhone owners. However, for those who can afford it, going for the next generation Apple Watch – the series 2 – is a much better choice. Well, it all boils down to your budget against how much you actually need a smartwatch. However, I would certainly advise anyone to acquire a smartwatch, given how much it can improve your life. Unless you are looking to diversify in terms of brands, I would strongly advise that you buy an Apple-manufactured watch. The Apple Watch Series 3 will definitely serve you well, and for a long time. If you are looking for high-end iOS compatible smartwatch, I would recommend the Garmin Fenix 5. On the other hand, if you are on a budget, then the Fitbit Versa Smartwatch will definitely be worth your while.